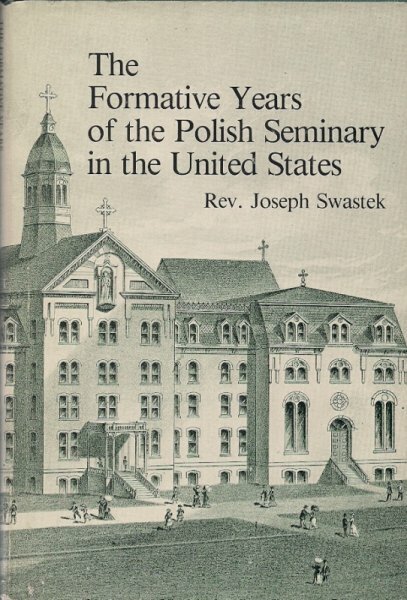 Swastek Joseph - The Formative Years of the Polish Seminary in the United States. - Wydawnictwa emigracyjne po 1939 r.
Swastek Joseph - The Formative Years of the Polish Seminary in the United States. Drewnowski Jan - O myśl polityczną. Res Publica. 1979, nr 2. Orchard Lake, Michigan. 1985. Center for Polish Studies and Culture. Format: 23,5x15,5 cm, stron: 127. Oprawa: oryginalna płótno, obwoluta. Obw. lekko naddarta, poza tym stan bardzo dobry. Ilustracje w tekście.